Yep. The most complex thing in the universe is also just plain stupid. Here’s the deal – your brain literally does not know the difference between reality and imagination. I realize that sounds insane, but stick with me for a minute. Take a moment to vividly imagine this scenario. You are standing at your kitchen counter. You’ve got a cutting board, a lemon, and a knife. You slice the lemon in half, and pick up a piece, tilt your head back and squeeze the lemon juice straight into your mouth. How does it taste? As you sit here now with that picture in your mind, is your mouth watering? Mine is. That’s just plain stupid. And awesome. It’s not like you actually have a mouthful of lemon juice triggering your salivary glands, but there they go anyway. Just a few short sentences have tricked your mind into telling your body to prepare for the acidic shock of a lemon. Fortunately, you can take advantage of the fact that your brain can’t really tell the difference between imagining doing something and actually doing it. If we use the right mental tools, we can tap into that power of imagination to achieve goals, both big and small. In a 2014 experiment, the grip strength of study participants were measured and recorded. The participants were split into three groups. One subset acted as the control group. The rest had their non-dominant hand completely immobilized in a cast for 4 weeks. Half of them were guided to visualize flexing the muscles in their ‘crippled’ hand for 8 minutes a day. The other half did nothing. Unsurprisingly, at the end of 4 weeks of not moving their hand, both groups had lost strength compared to the control group. Shockingly, the group who had merely imagined flexing their hands lost 50% less strength than the non-imaginative group! The mere act of visualizing a strengthening activity produced physical results. Despite the fact that it seems like magic, visualization works by tapping into some powerful mental processes. When visualizing, the neurons in your brain interpret imagery as equivalent to real life (which could lead to the question of ‘what is real?’ But that’s for another day). By creating the words, pictures, and feelings of an experience, the brain creates or strengthens neural pathways. These pathways create memories or behaviours that turn into beliefs and habits. The stronger they are, the more likely our behaviours and body will repeat the action, eventually to the point where it happens on autopilot. Rerouting these neural pathways through visualization can have incredible effects on our minds and our bodies. Not only can it help change habits, or strength and mobility, it can help cure sickness. This occurs thanks to a process known by doctors as the placebo effect. In medicine, the placebo effect is described a process through which people get cured of certain diseases (like depression or specific pain-related ailments) by simply taking what they believe is the right medicine. In these cases, even though the pills they are taking contain no medically active ingredients, people can become cured because the mind convinces the body that they are taking the right medication. Much like visualization, the placebo effect demonstrates the incredible power of the mind. If someone can be cured or relieved of some kind of symptom without the use of drugs, that’s a remarkable demonstration of how powerful our beliefs really are. It’s also a demonstration that we can use that power to positively influence other parts of our lives. 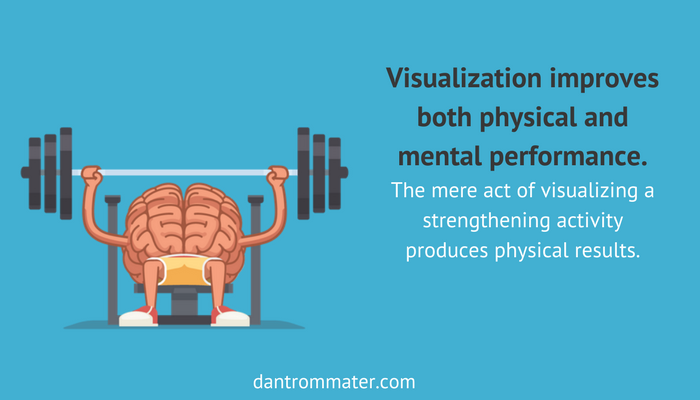 In addition changing behaviours and improving health, visualization also helps regulate our emotions, and can improve our confidence, resiliency, and overall happiness. All of this leads to one main conclusion: that the power of visualization can be harnessed for personal and professional self-improvement. When making positive changes to habits our quality of life, work productivity, and motivation all increases. Without a full understanding of visualization, it’s easy to dismiss it all as new age fluff. The book and movie, The Secret did a lot to popularize the concept of “the law of attraction”, a concept widely scoffed by skeptics. There is some evidence that that sort of visualization does work, but it’s limited. 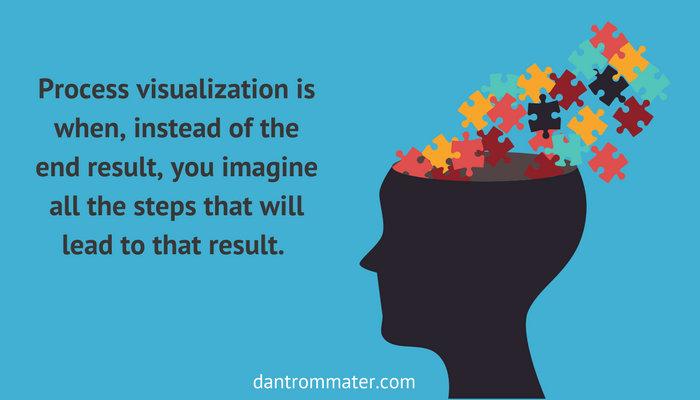 Process visualization is when, instead of the end result, you imagine all the steps that will lead to that result. This allows you to not only identify all the necessary individual actions you’ll need to take, but to also start to embody those actions in your mind. As I write this article, I’m on a flight from Toronto to Los Angeles to perform at the Magic Castle. While most of my work is as a speaker and facilitator, I’ve also been a magician for nearly 20 years and I occasionally get the honour of performing at this legendary private nightclub. On the flight I’ve been working on last minute touches to the show I’ll be presenting. I’ve already chosen the magic tricks I’ll perform and written a script. Now I’m mentally going through the entire show, imagining myself speaking the words and performing all the physical actions of the tricks. Performing a magic show is a complicated dance of words and actions, so it’s important to really coordinate all the elements. Through this process visualization, I’m tweaking the script to be as natural as possible, while still communicating my message while coordinating the necessary physical movements. By going through every moment of the show in my mind before I ever hit the stage allows me to catch potential pitfalls and mentally prepare for success. Process visualization seems to work by the same mechanism as when your salivary glands kicked in when you thought of sucking that lemon. Just by spending the effort of imagining the entire process, including what steps need to happen in which order, your mind acts as though you already have done that process. Of course, it’s not enough to visualize, you need to execute, but it’s a great start. We all have busy schedules, but if you really want to change a habit and see some real growth, you need to make some time for visualizing. How much time you set aside is up to you. I recommend using visualization techniques at least three times a week for up to ten minutes each time. During those few minutes, your phone should be silenced and you should be in a place where you know you will not be disturbed. 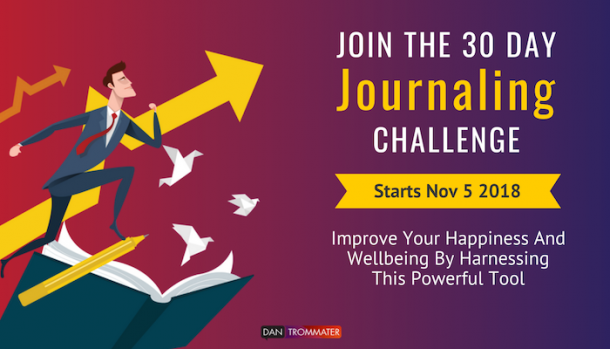 This will allow you to close your eyes, relax and really put your mind towards imagining your task. Process visualization is not wishful thinking. It’s not simply about closing your eyes a few times a week and picturing yourself sitting on a yacht drinking champagne. Instead, process visualization is about picturing the precise steps you need to take to achieve that goal. Every time you sit down to practice your visualization, start at the yacht and move backwards. Picture all the things you need to do to get to that goal and picture yourself going through that process. This will help you realize that achieving a goal is a process and will help you identify the next thing you have to focus on to get you closer to that goal. While the first half of your practice should focus on imagining the big picture and moving backwards from there, the second half should focus on the most immediate thing you need to do to get closer to that goal. Picture yourself overcoming that next task. What do you need to do to achieve it? Do you need to change a habit or get the courage the reach out to someone? 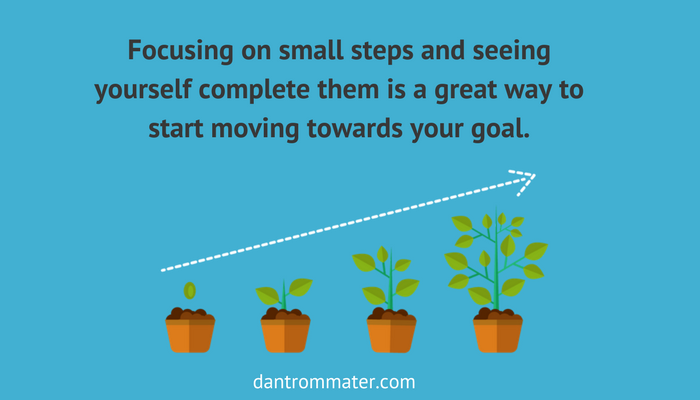 Focusing on these small steps and visualizing yourself completing them is a great way to start moving towards your goal. Over time, these tiny changes accumulate into big results. Remember, when it comes to achieving goals, focusing on less helps you achieve more. Once you’ve finished your practice for the day and identified the immediate goal you have to achieve to get one step closer to your dream, it’s important to put this on paper. You can use vision boards, notebooks, post it notes…in short, whatever works for you. Writing things down, coupled with visualization, makes it much more likely that you’ll complete the task at hand. We all have dreams we want to achieve. 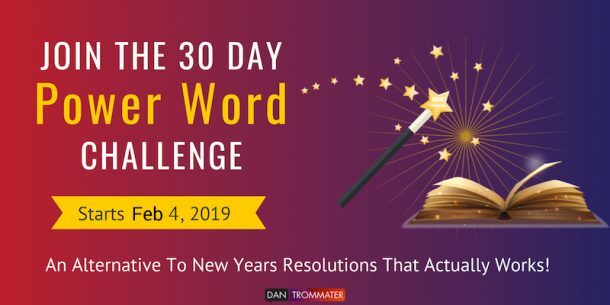 These dreams can be professional, such as getting a promotion or starting a new venture, or personal, such as quitting smoking, becoming a better partner, or learning how to play the guitar. No matter what the goals, we can all benefit from the power of visualization. 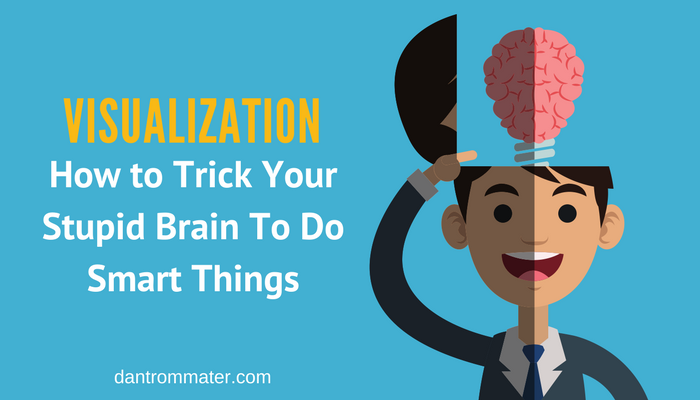 So what are you going to visualize?